Whether you need a corporate headshot, modeling and acting headshots, photos for personal branding, social media profile pictures, or even a dating website profiles photo ... You only have one chance to make a first impression. Make it a good one! Investment starts at $150. Please email me for complete pricing! Each headshot session includes large and web-sized copies of your images, color and black and white copies of your images, and a commercial usage release. All digital images will be delivered to you electronically. Each session is per person. Please contact me for a custom group rate. Editorial headshot sessions are perfect to promote you and your business! These documentary style photos capture you in your work environment and include posed and candid shots. 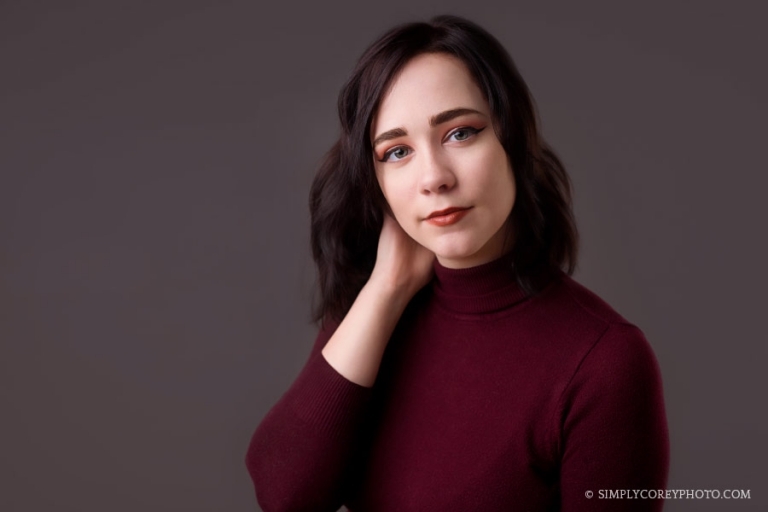 Each editorial headshot session includes large and web-sized copies of your images, color and black and white copies of your images, and a commercial usage release. All digital images will be delivered to you electronically. Depending on your needs, editorial sessions may include associates. Please contact me with the details of your session first to make sure a custom quote isn't needed. 1. Email me with which type of headshot session you are interested in (studio, outdoor, editorial, etc), the location and date you have in mind, and any ideas you may have for your session. I will then email you back with my availability. 2. Once we decide on a definite date and time for your headshots, I will send you an invoice for your session's fee. The full amount is due upfront to reserve your session. 3. Once your session is reserved, I will send you a questionnaire and contract to be filled out prior to our session. 4. We have a great time at our session! * Prices are subject to change at any time. Shipping and 7% sales tax are not included in the prices shown. Due to the custom nature of the products offered, all sales are final. Simply Corey Photography retains the copyright to all images provided.